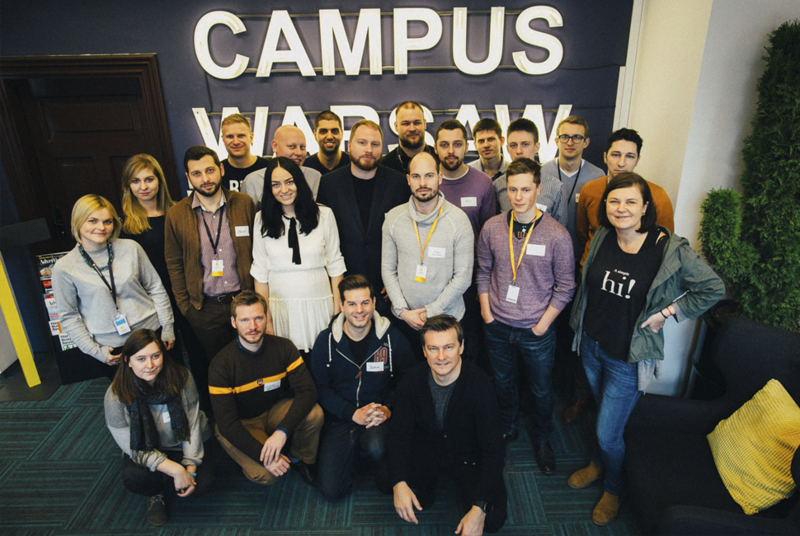 A week ago, the ThinkOut co-founders Adrian and Cristi attended the Campus Exchange program at Google’s Campus Warsaw. This fall, ThinkOut was the only startup selected from Romania to take part in a series of workshops designed to “support the global expansion of startups from Central and Eastern Europe”. For 5 days our team was truly immersed in the Google inspired atmosphere aside 8 other startups from the CEE. They got a strong infusion of information and knowledge from industry experts and from the other startups’ experiences. The startup community is real and alive. There was a strong feeling of collaboration between all the 9 teams coming from different countries – Romania, Poland, Hungary, Bulgaria, Latvia, Czech Republic, and Greece. People are willing to share and help in a friendly, honest manner. It is about understanding that success cannot be achieved by oneself, but together with the community of which we are all a significant part. The startup world is all about the ecosystem. It’s crucial to interact with fellow founders, with mentors and advisors, as well as with investors. Get out and reach to them, apply to different programs, competitions, accelerators; travel and meet them in person. The success of a startup cannot be one-dimensional. Entrepreneurs need various skills in multiple fields, which, connected, make sense and drive evolution. No one asks you to be an expert on everything, but you need at least to know how and who to ask for help. There’s rarely technical success without marketing and communication; rarely good marketing without clear strategy; rarely a successful strategy without financial backup and control. The CEE market is emerging both in terms of startups and potential customers. It’s one of the fastest growing markets and it may have pretty good ratios regarding costs vs results. It is a territory still insufficiently explored, which is worth all the effort. Interacting with Google analysts and engineers shed some different light on many of the tools we use day by day. Although constant use (eg. Analytics) may give you the impression you have some pretty good knowledge of the product, it’s almost certain it has hidden depths and advanced usage scenarios. Not to mention that there are many other dedicated tools, less known and very handy for startups. For instance, we learned about Global Market Finder for keywords, the Consumer Barometer for understanding Internet user behavior or how much in detail you can set Facebook Audiences for the Facebook Ads campaigns. The best argument in talking about a startup is user traction. Don’t get absorbed by market share, state of the art features or advertising. All these are important, but focus on your customers, keep them happy, work to increase your user base. Learn what makes them tick, what motivates them to stay by your side, what they really need and expect. It beats all the marketing stories, all the technical details. The startup life has different dimensions which all require your attention and it can get overwhelming. Luckily, the online offers plenty smart, helpful tools and there’s a strong community out there willing to share knowledge and offer support, so there is no excuse for not doing your best to succeed.